There’s a popular park adjacent to the boundary of Parkes Early Childhood Centre (PECC) where many children play. It is located on Armstrong Street, not far from the CBD of Parkes. 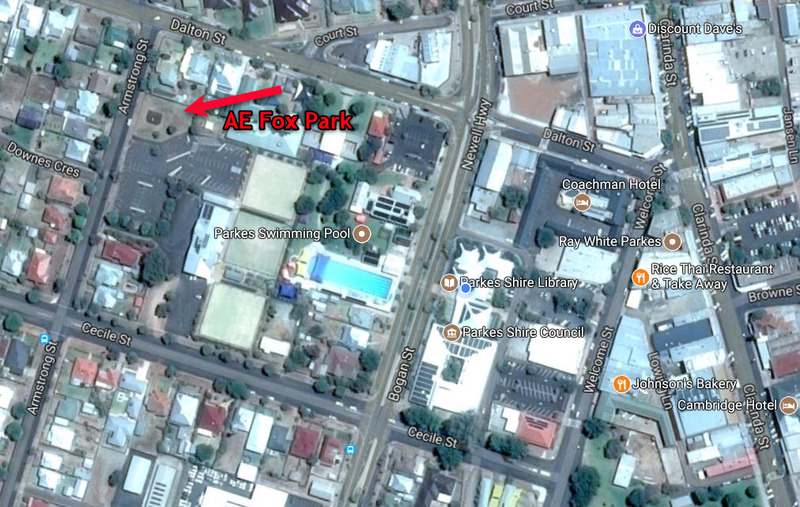 This park is called AE Fox Park, and it is named after Alfred Edward John Fox who was the Town Clerk for Parkes Municipal Council for 42½ years! His incredible time working for Parkes Municipal Council began in 1916 and he resigned in 1959. His dedicated service saw Fox awarded the Officer of the Order of the British Empire (OBE) in the 1959 New Years Honours list. As Town Clerk he worked alongside fourteen mayors starting with Andrew Stewart and finishing with Arnold Cecil Moon. [Alfred’s father’s butcher] business went bankrupt during the 1902 drought and after his wife died Fox Senior sent his three children to live with their grandmother in Gilgandra. It is understood Alfred attended Warren Convent School and possibly Coonamble School. His father went to Cobar to the copper mines and stayed at the Great Western Hotel*, run by Tom Clark and his two sisters. 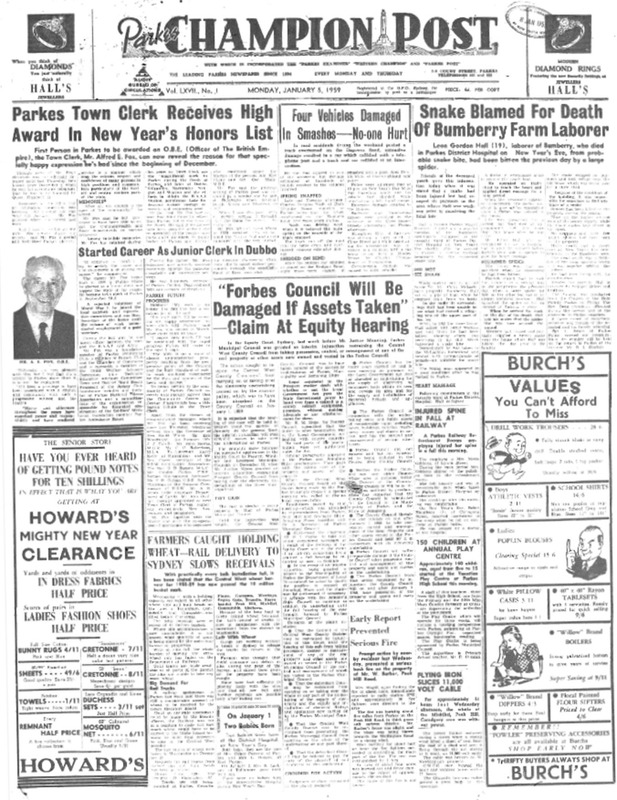 Fox Senior married Rose Clark and they had one daughter who was less than two years of age when Fox Senior was burnt to death in one of the mines. Mr Fox was a foundation member of Parkes Swimming Club, a member of Rotary Club and the Chamber of Commerce and is currently a member of the Child Welfare Advisory Committee, the Technical Education Advisory Committee, Town and District Band Board, President of the Jockey Club, foundation member and member of Parkes National Fitness Association and a committeeman of the organisation responsible for financing construction of the Soldiers’ Memorial, foundation member Parkes Ambulance Board….He was honorary organiser of Parkes’ Golden, Diamond and 75th Anniversary celebrations. 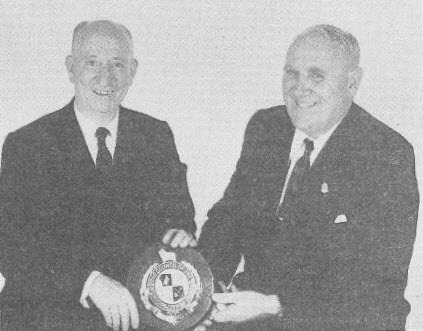 In recognition of all he had achieved for Parkes and district, in 1959 Parkes Municipal Council unanimously agreed that the Community Centre and central playgrounds bear his name as tribute – thus how AE Fox Park received its name! 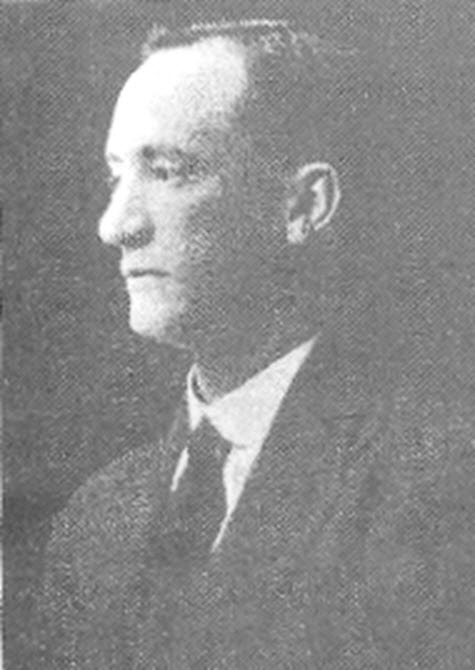 During his time as Town Clerk, Alfred Fox played crucial roles in many of the amenities and infrastructure that modern Parkes enjoys today. Fox’s negotiation skills were primarily responsible for the grant which delivered the majority of funds to build Lake Endeavour Dam. Along with Mayor Spicer, Fox negotiated successfully for the establishment of an air navigation training base in Parkes during the Second World War. The benefits of the training school were twofold – the economy was boosted at a time when many country towns suffered or disappeared; and postwar when air transport became an industrial boon, Parkes had received a ready-made airport during the war (as Tindall illustrates, prior to air training school Parkes airport was just a paddock). Proving that he possessed the cunning of his namesake animal, Alfred also negotiated for the site of the Australian National Radio Astronomy Observatory – which today locals and visitors know as “The Dish”. Without Alfred Fox, it could be argued that Parkes would lack its swimming pool, airport, Lake Endeavour Dam and The Dish. There was even a bet between one of the local doctors and the town clerk, Mr Alfred Fox, who was game enough to drink a glass of water out of the pool, it was supposed to be so clean. 1894 – Alfred’s brother, Albert E L Fox, is born in Coonamble. Alfred already had an older sister, Elsie Isabelle, who was born in 1890 in Minmore, New South Wales. 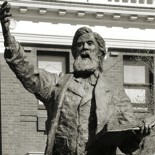 1921 – Alderman Woodward, Mayor, dies on September 13. As Town Clerk, Fox had to organise a special meeting to elect a new town mayor. Edmund Cancross Best was elected unanimously. If you have stories or memories that you are willing to share about Alfred Fox and/or AE Fox Park please contact Parkes Shire Library via library@parkes.nsw.gov.au so that they can be shared and kept for posterity on this blog. Alternatively you may leave comments on this page. Hutton, Y. (2005, December 14). Birthday celebrations for Parkes Swimming Pool. Parkes Champion Post, p. 2. Parkes Champion Post. (1959, January 5). 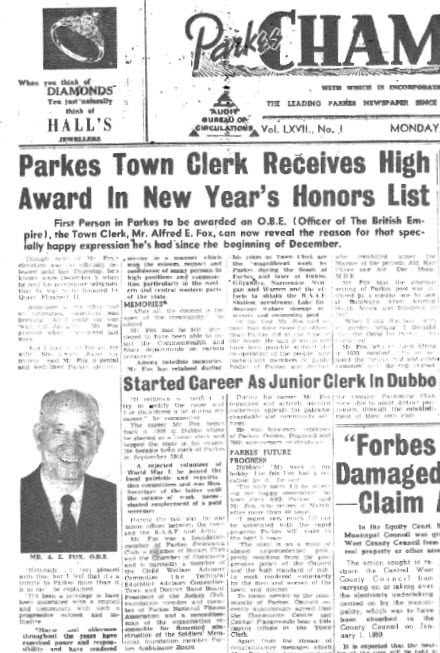 Parkes Town Clerk Receives High Award In New Year’s Honors List. Parkes Champion Post, p. 1. This entry was posted on July 27, 2017 by parkeslibrary in 1910s, 1920s, 1930s, 1940s, 1950s, AE Fox Park, famous people of Parkes Shire, Former Mayors of Parkes, General history, Legacy, Legacy of Alfred Fox, Life of Alfred Fox, local historical articles, Parkes, Parkes Library Family & Local History Resources, parks, Timeline of Alfred Fox, Uncategorized and tagged 1902 drought, 1959, AC Moon, AE Fox, AE Fox Park, AGF Bollinger, Albert Godfrey Forbes Bollinger, Alfred Edward John Fox, Alfred Fox, Alfred Fox Community Centre, Ambrose Fox, Andrew Stewart, Armstrong Street, Army, Arnold Cecil Moon, Australian National Radio Astronomy Observatory, Bellevue Hill, Charles Joshua Barber, Charles Thomas Woodward, Charlie Woodward, children's playground, CJ Barber, Cobar, Cobar mines, Coonamble, Coonamble School, CT Woodward, D Geddes, Dan Fredericks, Donald Geddes, Dubbo Municipal Council, EC Best, Edmund Best, Edmund Cancross Best, Ellen Cook, first in state exams, Frank William Spicer, FW Spicer, Gilgandra, junior clerk, Keith George Mazoudier, Kenneth Ivo Payne, KG Mazoudier, KI Payne, Lake Endeavour Dam, Legacy of Alfred Fox, Les Finn, Leslie Loftus Miller, LL Miller, May Rose Cauvarel, New Years Honours List, OBE, Officer of the Order of the British Empire, OJ Howard, Owen J Howard, Parkes 75th Anniversary Committee, Parkes Air Navigation training base, Parkes Ambulance Board, Parkes Chamber of Commerce, Parkes Champion Post, Parkes Child Welfare Advisory Committee, Parkes Diamond Anniversary Celebrations Committee, Parkes Early Childhood Centre, Parkes Golden Anniversary Celebrations committee, Parkes Jockey Club, Parkes Municipal Council, Parkes National Fitness Association, Parkes Rotary Club, Parkes Soldiers' Memorial Committee, Parkes Swimming Club, Parkes swimming pool, Parkes Technical Education Advisory Committee, Parkes Town and District Band Board, patriotic committee, PECC, playgrounds in Parkes Shire, RAAF, repatriation committee, Ron Tindall, Rookwood Cemetery, T Howard, The Dish, Theophilus William John Keast, Tom Howard, Town Clerk, Town Clerks of Parkes, travelling concert troupe, Wallace Leo Clarke, Warren, Warren Convent School, Warren NSW, WJ Keast, WL Clarke, Yvonne Hutton.